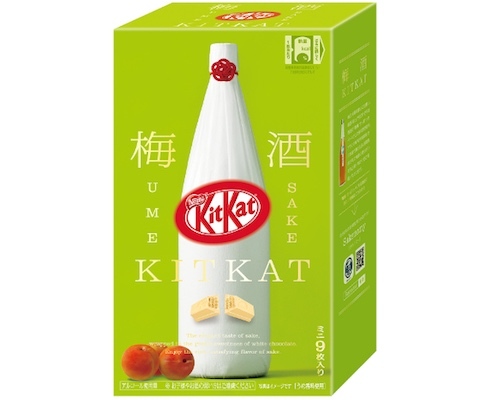 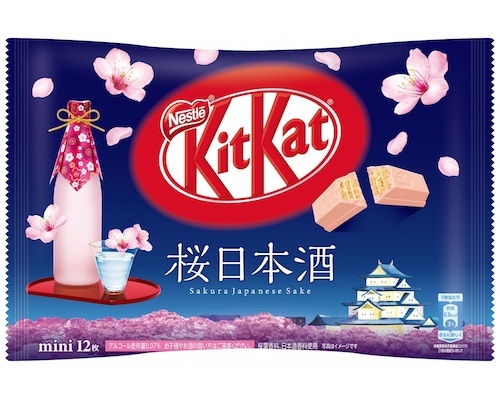 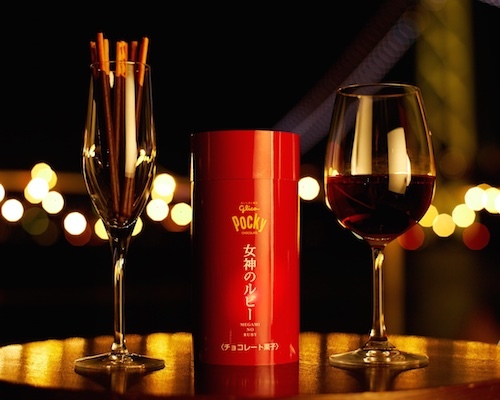 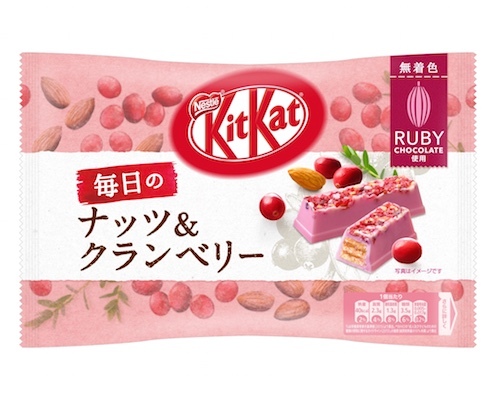 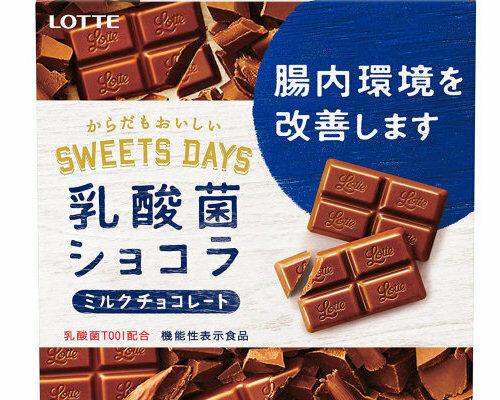 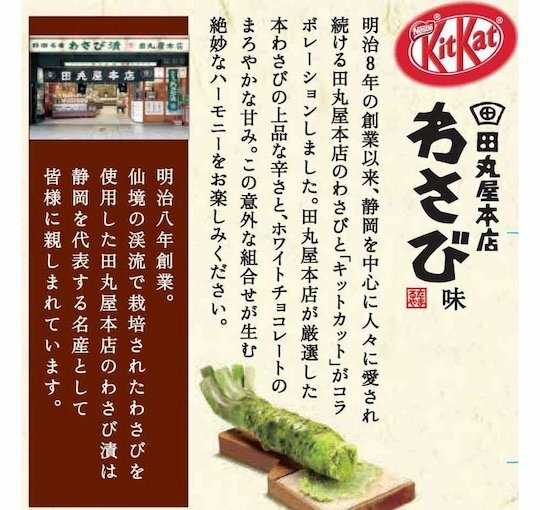 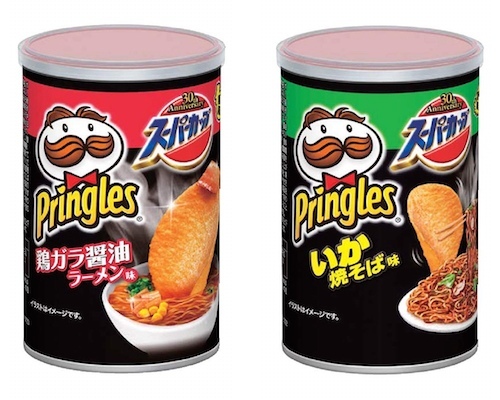 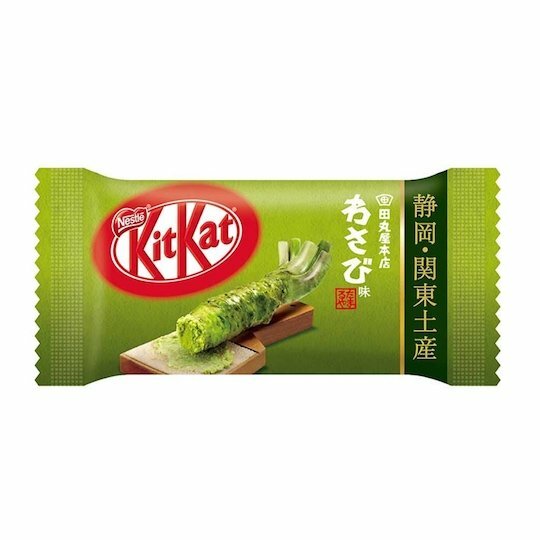 As you would expect from its ample use of one of the most uniquely Japanese ingredients, the Kit-Kat Wasabi Flavor is exclusive to the Japanese market (and in fact, just one region) but now finally available for international customers. 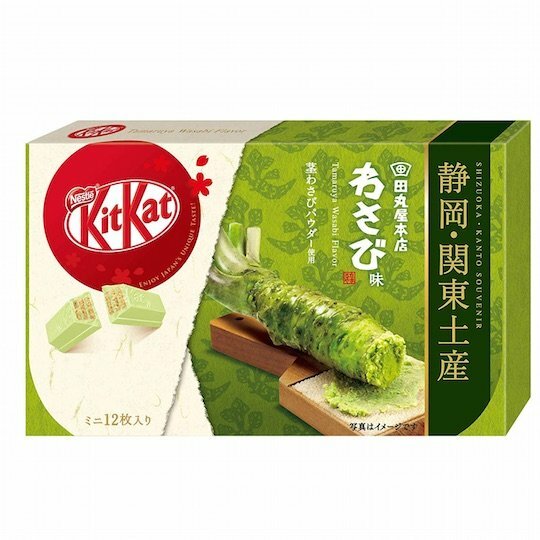 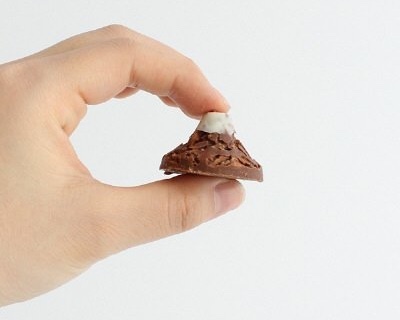 This truly original snack is a pack of 12 Kit Kat Mini white chocolate biscuits spiced up with some real wasabi! 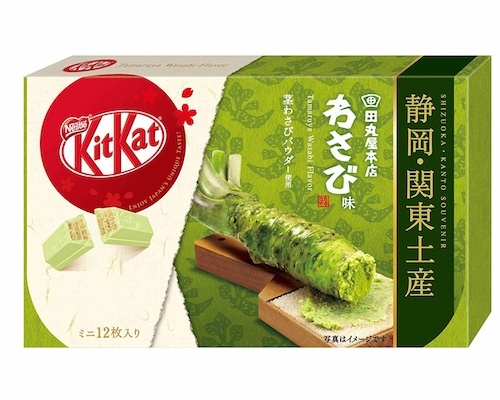 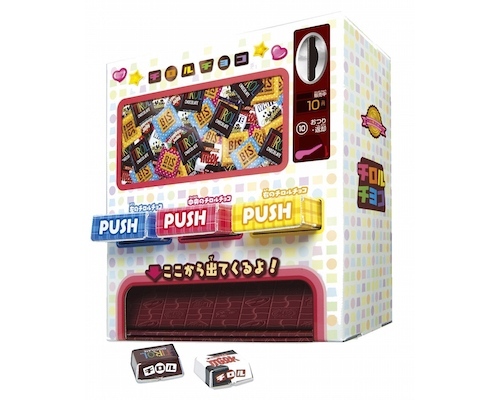 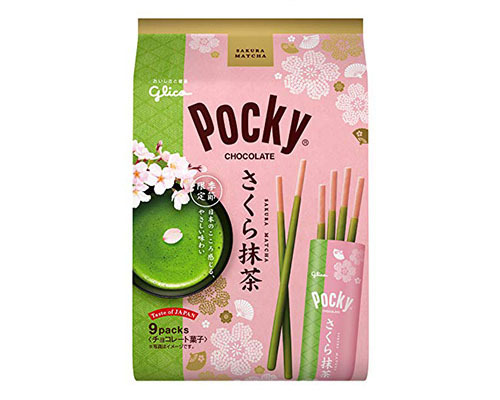 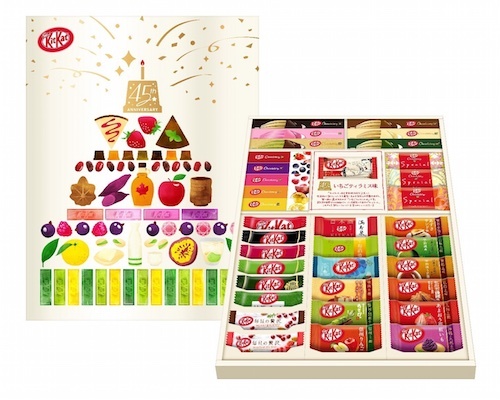 The special wasabi-flavor Kit Kat is made in collaboration with Tamuraya Honten, one of the most famous wasabi food manufacturers based in the Shizuoka region of Japan.